When they saw a gap in Orlando’s burgeoning real estate market, Global Real Estate Services launched the Orlando Agency, a specialist company aiming to help out-of-state and foreign nationals in the buying and selling of investment properties. 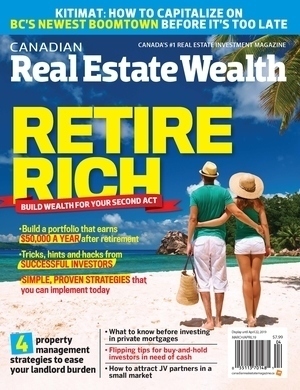 Canadian real estate investors have a good opportunity to generate additional income simply by expanding their horizons. Orlando is booming economically and each year more Canadian tourists and snowbirds head south in search of sun in the fun. “Orlando’s economy continues to grow after the financial crisis of 2007-2009 and is consistently outperforming the nation as a whole,” Walmsley says. “As well as being home to a robust tourism industry, Florida is also a hub of new technology, aerospace, digital media and medical research. Real gross state product continues to climb and job reports show positive growth month on month. With such attractive impressive fundamentals, it’s a region that presents a lucrative opportunity for ambitious investors. However, buying the property is often just the first step in a long line of potentially complex tasks and transactions. The Orlando Agency’s program mitigates some of those common issues by helping investors in some key areas including mortgage origination, U.S. bank account set-up, commercial foreign exchange, property and personal insurance, U.S. tax compliance, property inspection/refurbishment services, and property management services.